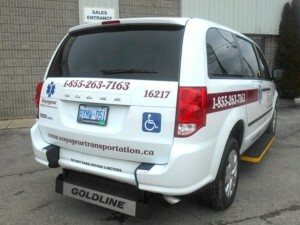 Support services, community living programs and accessible transportation providers all rely on Goldline Mobility & Conversions to provide them with durable, practical and safe vehicle conversions to transport those living with physical challenges. We supply our customers in London, throughout Ontario and across Canada with mobility solutions to meet everyone’s needs. Full size vans are ideal for transporting multiple wheelchairs and passengers and are available in a large variety of sizes and configurations. Wheelchair lifts can be installed in either the side or rear location depending on requirements and preferences. Goldline takes pride in building dependable conversions without compromise to withstand years of reliable service. Our certified technicians and service team are always available to provide on-going support and preventative maintenance. 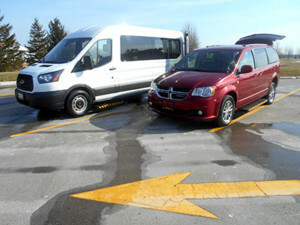 Minivan conversions have become very popular for commercial use in recent years. Cost to purchase and operate is very favourable along with flexible seating plans and ease of operation make them an attractive choice. 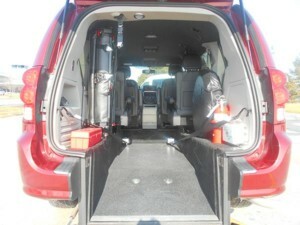 Side and rear entry conversions are available. Rear entry conversions are the lowest cost, and are virtually maintenance free. 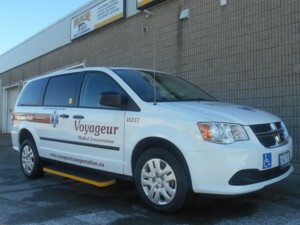 All commercial wheelchair accessible vans are D409 compliant, and come complete with all required safety kits and equipment. Our mobility consultants always provide in-service training upon delivery to help ensure safe and trouble free use for drivers and passengers alike. If you are unsure of which type of mobility conversion is right for your business or organization’s needs, we are here to assist you in making the right choice. Goldline has helped shape and evolve the mobility industry into what it is today. Trust our years of experience to provide solid advice in making the right decisions. Contact Goldline today for further details and information, or to provide our quote for your consideration. Click here to view and print the Community & Commercial Conversions brochure.